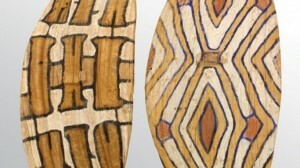 When an Aboriginal Peoples Northern Australia shield, from an ethnographic collection of a prominent San Francisco Estate came up for sale the bidding began at $400. Increments quickly jumped from $100 to $1,000 as a heated phone battle between two Australian collectors skyrocketed the final sale price to $23.000. Events were repeated when a second shield followed, both shields were bought by the same Australian collector. The two shields, initially estimated at $400 each fetched more than $46.000 together! The shields, both made of fig tree wood with carved handles and carved bosses to the front measured 34.5in x 14.25in, were conservatively projected to be post WWII by Clars and another major auction house. After the sale the auction house commented that, after further evaluation, these shields were more likely to be 19th century. The sale follows other exciting Australian fine art and decorative art sales at San Fransisco based auction house Clars. 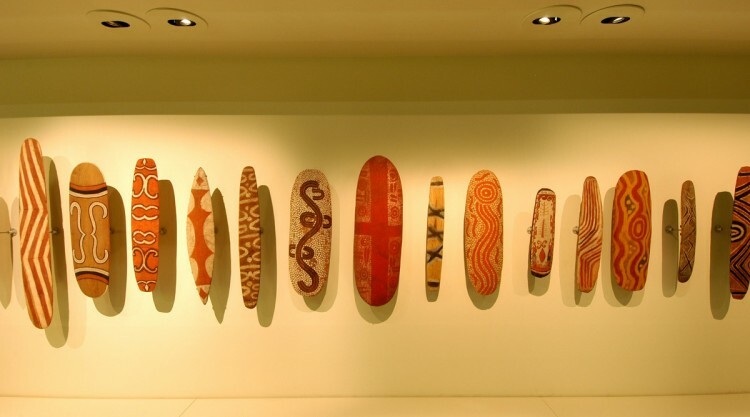 In February, Possum Dreaming by aboriginal artist Clifford Possum Tjapaltjarri (1932-2002) sold for $131.000, breaking a U.S. auction record for the artist. 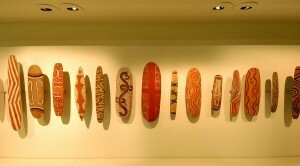 See more aboriginal art on Barnebys here.